I’m not surprised that David Cameron has abandoned his non-committal language about phone-hacking by newspaper reporters. The moment yesterday when the story broke that reporters on the News of the World had hacked into the phone of murder victim Milly Dowler and, by deleting message in the phone’s mailbox, have given her parents and police the false hope that she was still alive marks a watershed in the miserable saga of phone interception by journalists. This is more than “a new low”. Yesterday was the last possible moment that anyone could, with a straight face, claim that this was a limited infraction with minor consequences being blown out of proportion. Until yesterday the story was of huge interest to journalists, policemen and MPs. The drip-drip revelations in The Guardian were not only intriguing, they were significant. But they hadn’t grabbed any really widespread attention. Campaigners on the issue claimed that this was because major news media managed to mostly ignore the subject; some editors were presumed to be nervous about possible revelations in their own newsroom. This may have been a factor, but the basic explanation was much simpler. To be a marmalade-dropper, a story needs – among other things – an element of surprise, an assumption upended. Stories which showed that red-top reporters behaved badly and broke the law don’t upset anyone’s picture of the world. And into the bargain, the victims of phone-hacking were celebrities. Most people ration their sympathy where red-carpet people are concerned. Not so the bereaved and much-abused Dowler family. That reporters seem to have been so cruelly indifferent to a family whose 13-year-old daughter had gone missing moves the story into new, mass territory. The essence of the story is emotive and straightforward to grasp and convey. This will be true in spades if it turns out that anyone in the families of the Soham murder victims was treated in the same way. Bin Laden: real time fragments or the whole story? Very interesting reflections today by John Gapper in the FT arising from the coverage of the killing of Osama Bin Laden. Gapper watched as Wolf Blitzer of CNN struggled to cope on air as rumours swirled about Bin Laden’s death but the fact wasn’t confirmed solidly enough for the channel to broadcast it. I wonder if this change in way news comes at us is going to divide news consumers into active and passive. Perhaps a single person will switch between active and passive depending on what they want to know. I’m content to get my news about media in fragments on Twitter because I have the background knowledge and motive to interpret it and integrate it with what else I know. But I don’t necessarily want to follow in detail the unfolding of the Japanese tsunami or the operation to kill Bin Laden in real time. I’m prepared to wait for an integrated, confirmed synopsis. With fragments of information flying at us in huge numbers, it’s natural that skills and software for aggregation and curation are being developed. Those tools suit the active, time-rich news consumer who wants to assemble the car from the parts. But there will always also be demand for a more integrated picture of the whole. Even if it is a littler slower to arrive. Conditioned by the rythmn of daily newspapers and nightly television bulletins, we think of news as a rolling thing, constantly renewed, refreshed and updated. Twenty-four-hour news channels speed up the cycle, but don’t change that idea of news as the latest version of the story. The newspaper you hold and read is only that latest slice of information; so is a broadcast news bulletin. And anything that isn’t the latest version is dead and gone, waste material. When I worked at a newspaper with a large website I began to wonder if this idea of news would change. A website is a “rolling” platform in the sense that it can be updated with news quickly and many millions of users go to news sites for just that. But such a site is also something else: a vast store of data that isn’t news any more, a giant heap of facts and judgements. If you want to go deeper into a subject or backwards in the sequence of events, in theory you can. Newspapers and broadcast are news in two dimensions; digital adds a third with its ability to drill downwards, sideways into the information. So a major news website is truly something more like a rolling news encyclopaedia: topped up all the time, but with added depth and uses which newspapers and broadcast don’t have. Potential depth. The leading news sites have hardly begun to exploit this asset, which grows every hour with the addition of more news. The New York Times chooses to do this by literally organising its material in reference-book form in their “topic pages”. But the material is confined to what’s been published in the Times. Various software companies offer programmes which automate the business of cutting archive material into topical strands. I guess that Daylife is one of the best known. The general consensus, floating on a tide of Google-style optimism, is that software will crack the problem. I began to wonder about this while reading two reflective pieces around this subject by Jonathan Stray and Felix Salmon. Most of the automated versions I’ve seen just aggregate material: they tack together in one strand all the previously published material on a subject. This is fine but often unsatisfying. There is a vast amount of repetition, which becomes time-wasting and aggravating very quickly. If you’re lucky, the site you’re looking at may have done a “new readers start here” Q&A or an “explainer”; if you’re trying to catch up, that should help. But the problem with moving stories is that they move and those movements often change the attempt to explain what’s happening. Even explainers go out of date. Here’s an example of a bouncy explainer in Mother Jones on Libya (I like “why can’t anyone agree on how to spell Qadaffi’s name?”) which goes awry when it tries to add “updates” below. The reason I’m reading an explainer in the first place is that I don’t want a daisy chain of disconnected update fragments. Integrated information makes better sense. I’ve made a modest proposal a few times before (here and here) about one simple thing which journalists can do online to grow trust in what they write: use footnotes. No need in digital for fiddly little numbers perched above the word and text at the foot of the page: just a live link which gives the provenance, the full text or the detail. Now it’s so easy, why shouldn’t the reader be able to see – if they’re curious – where the information came from? Will this transform journalism? Definitely not. There are plenty of sources which can’t be acknowledged, there isn’t always time (as any blogger knows) to fill in all the links and text with too much blue in it can be irritating to read. Listing sources doesn’t abolish disputes about whether of not material has been used justifiably or not. But none of those considerations undermine the general idea: that any news platform wanting to be taken seriously should make it an everyday practice to show where stuff comes from. No more complicated than that. In the long run that would be a more useful and valuable move than the current fad of newspapers making all their staffs use Twitter. Squeezed and scared by the collapse of the business model for daily printed papers, journalists have become very defensive in the past few years. This kind of simple open-handed trust-building would be one small way to reverse that mindset. Martin Moore of the Media Standards Trust has just launched an amusing – if slightly terrifying – device which matches the words of a news story with the text of the relevant press release. Lo and behold, there is often a large overlap. “Churnalism” can be seen and measured. Any reservations I might have about this aren’t about the idea of churnalism. 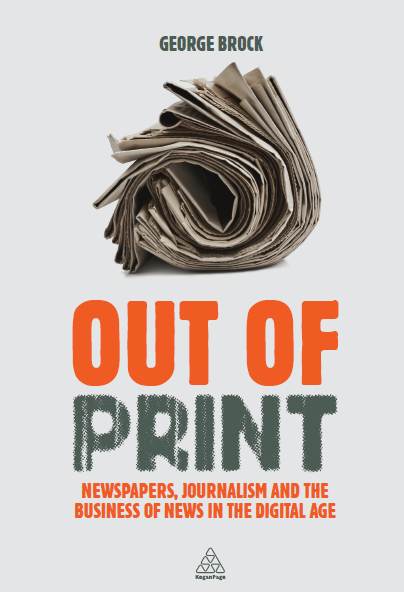 Over a long period, many news journalists came to be expected to turn out more and more pieces or writing or broadcasting per day and the growing pressures have been particularly felt in regional media. Less research went into the journalism and more and more reporting was the same, often the very same words. The journalism’s quality fell. Audiences noted the fall in the value of what they were getting. I’ve got two quibbles with the current software that the MST has now launched. First, it’s bit crude. It determines matching text overlap (between story and press release) and christens the result churnalism. OK, that will often reveal lazy reporting. But the fact that much news reporting is routine (and it always has been) doesn’t mean that it is badly done or valueless to the reader. Number 99 in the current list of top press release for the past three months happens to concern driver insurance. Not very surprisingly the numerous papers which report this (Telegraph, Scotsman, Financial Times) use quite a few words from the wording of the government press release. In this case, the reporters had been doing their job – a modest one – of relaying public service information in pretty much the words that government officials had chosen. As Dan Sabbagh says here, journalism includes summarising. A great deal of recent backchat, panel burble and analysis of journalism lately has focussed on diagnosing spectacular “failures”. Why did the news media so easily swallow the idea that Iraq had weapons of mass destruction? Why did the news media fail to foresee the financial meltdown in 2008? My colleague Steve Schifferes, who directs the MA in Financial Journalism at City University, pondered on the financial failure in his inaugural lecture yesterday. (Full text here). There is a great deal to enjoy and appreciate in his look backwards and forwards over business and economic journalism, but two points in particular seem worth drawing out. I’ve reviewed the first two books of what will be a literary cascade on Wikileaks in today’s Times (£): the account of Julian Assange’s collaboration with The Guardian by David Leigh and Luke Harding and the inside account from Daniel Domscheit-Berg of his time as Assange’s lieutenant. The former is largely devoted to the clinching and subsequent collapse of the cooperation between Assange and The Guardian. Domscheit-Berg’s book, driven mostly by pique, is a lengthy complaint about Assange’s dictatorial methods. Both books include useful background on the early origins of Wikileaks. Both books underline that Wikileaks is Julian Assange, no more and no less. I have discovered that writing blogposts (or reviews) about Julian Assange puts you in the line of fire from his passionate devotees if not from Assange himself. I’ve already been called a “supercilious weasel” and there’s probably worse to come. So if you’re new to this blog you’ll find earlier posts by entering “Assange” in the search box to the right of this post, including my reflections on his two appearances at City University last year. The first of those, much the more intriguing of the two, was before the major leaks of 2010 began.